Could we see Warcraft come to mobile? After the overwhelmingly negative response from Blizzard’s fan base about the announcement of the company’s Diablo Immortal mobile game, CEO Allen Adham has confirmed that there are more mobile titles in the works. 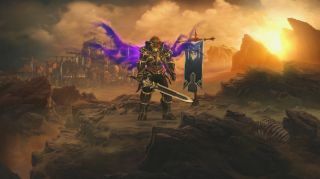 Diablo Immortal was first announced at BlizzCon 2018, the publisher’s annual gaming convention, and was met with both immediate and sustained resistance from fans of the series. Despite Blizzard having already hinted quite heavily that Diablo 4 wouldn’t be shown at this year’s conference, fans still felt robbed that the announcement wasn’t pertaining to another major PC installment of the franchise and were skeptical of the potentially money-driven motives of making a mobile game. In a video Q&A posted to YouTube, Adham stated that Blizzard has “many of its best developers now working on new mobile titles across all its IPs” and that it has “more new products in development today [...] than it’s ever had in its history”. While specifics weren’t shared in the video, it sounds like we can expect some more mobile games in the coming years based on the worlds and lore of other Blizzard titles such as Warcraft, Overwatch and Heroes of the Storm. Given Adham’s comment about the quantity of projects the team is currently working on, it’s fair to assume that at least some of them will be major PC releases and that, as the company has assured its fans, Diablo 4 will be among them.